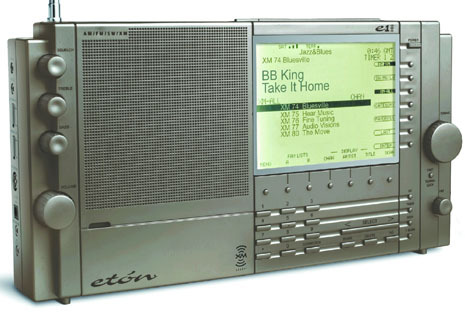 After the display on my Eton E-1 receiver died, the good folks at Universal Radio swapped my broken but lightly used radio for a factory reconditioned unit. Fred Osterman warned me that the plastic case was sticky and somewhat gross and he wasn’t kidding, but I was still grateful that he had a replacement radio. After searching around the Internet (including your blog) and trying various cleaners and solutions that didn’t remove the dirt and grime from the radio (such as rubbing alcohol, Gunk and dishwasher detergent), I went to my local O’Reilly Auto Parts store and asked if they had a recommendation. Their solution was a product called Purple Power ($4.49) and a microfiber shammy mitt ($4.50). In less time than it took me to watch an episode of “Dr. Phil,” my Eton cleaned up beautifully, with no damage to the unit — it looks and feels brand new. The plastic retained that nice tacky feel without all of the stickiness that attracts gunk like dust, hair and other crud. Purple Power is made by Aiken Chemical. 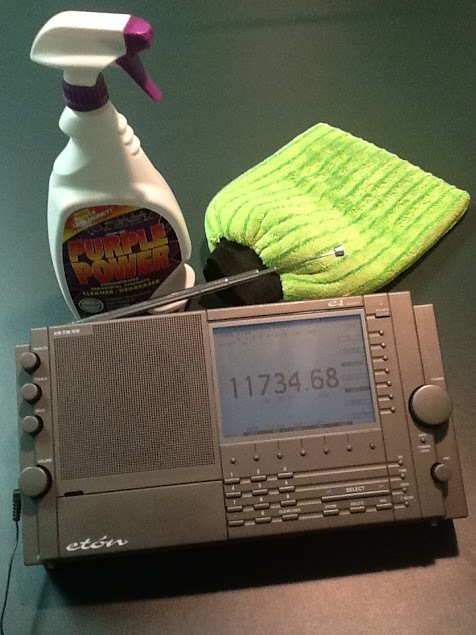 You’ll want to have a clean bucket of water to remove the gunk that Purple Power removes from the plastic — it really was disgusting but I won’t hesitate to give the radio a Purple Power bath the next time it starts getting gross. And, no, I’m not affiliated with Purple Power, Eton or anyone else, including the microfiber shammy! Click this link to find Purple Power retailers. 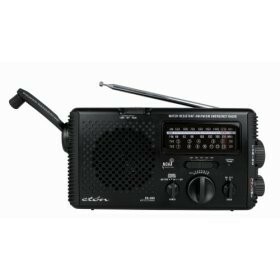 This entry was posted in Articles, How To, Radios, Shortwave Radio and tagged Cleaning Radios, How to clean sticky radios, Purple Power, Sticky Radios, Sticky Shortwave Radios on October 16, 2013 by Thomas.